Peggy leads off our new eBrush design team. We are excited to bring this versatile product to you. Peggy shares her wonderfully scary card with us! Thank you Peggy! Hello! Welcome to my first post as a Craftwell Ebrush Design Team Member. Should you have any questions please feel free to ask. Today I would like to show you my NEW "Must have tool for 2014!" Would you like to know how I did this? I started with my slider mailer. I airbushed a base coat with my Spectrum Noir markers on all four sides using DR5 and Bic Markit in Tuxedo Black for shading and on all edges. 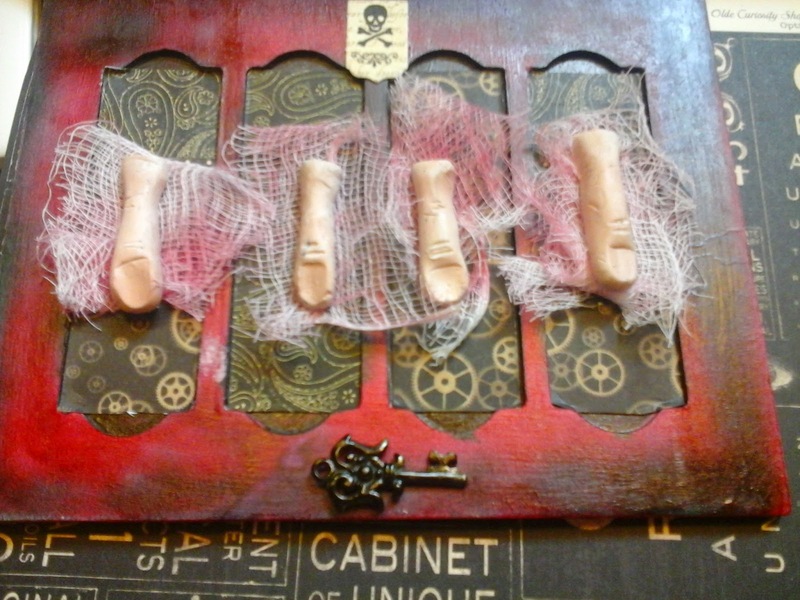 Next I started creating the embellishments for a scary scene. 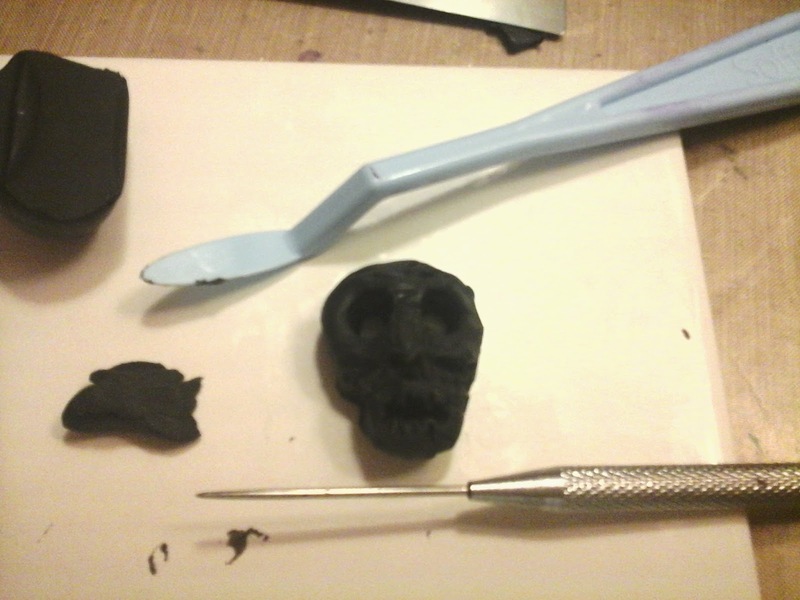 I carved out a scull, fingers, bones, grave stone and leaves. I thought it would be an appropriate grave site embellishment to have black roses. Below ready to airbrush black. 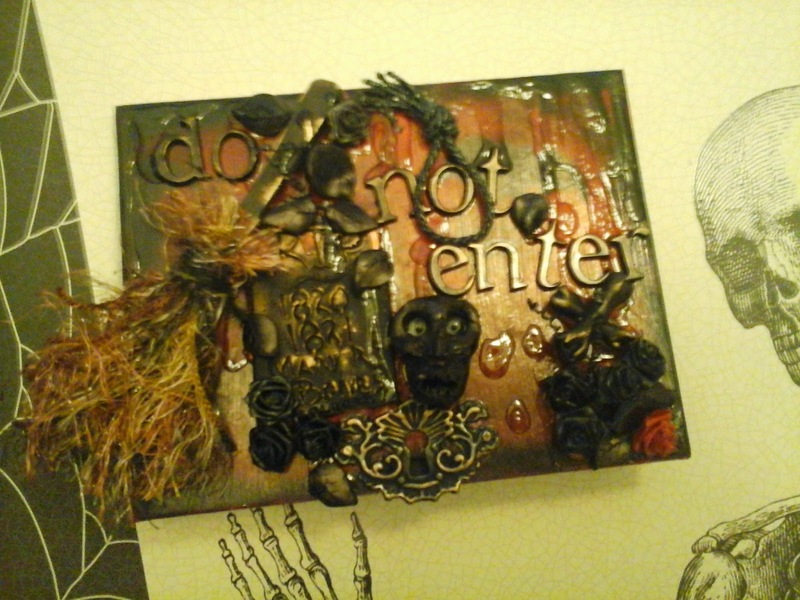 I used plastic lettering for my cover "do not enter" below but the letters blew around too much.. 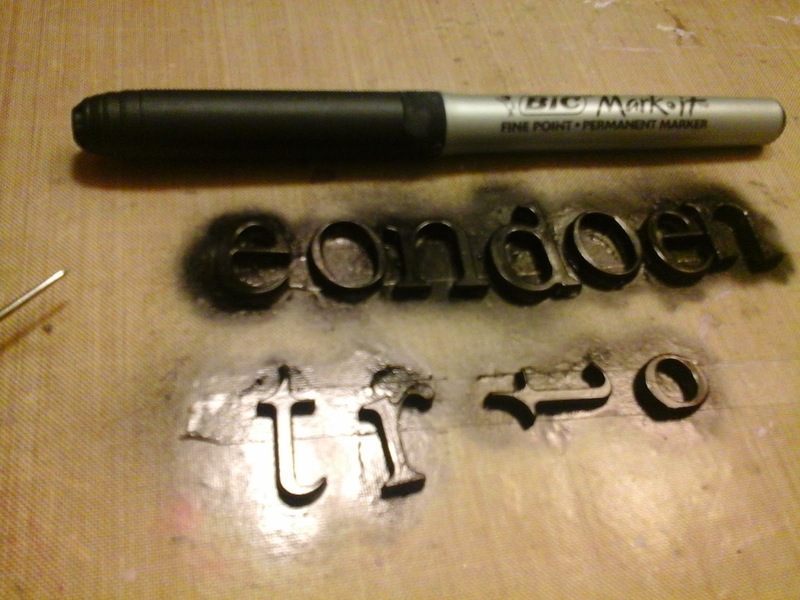 So, I decided to place double sided tape to my craft mat and adhere the lettering down while I airbrushed them from clear to black. I also airbrushed my clay fingers with copic markers skin colors as my clay was white. I added some gause and Ebrushed with Spectrum Noir markers. 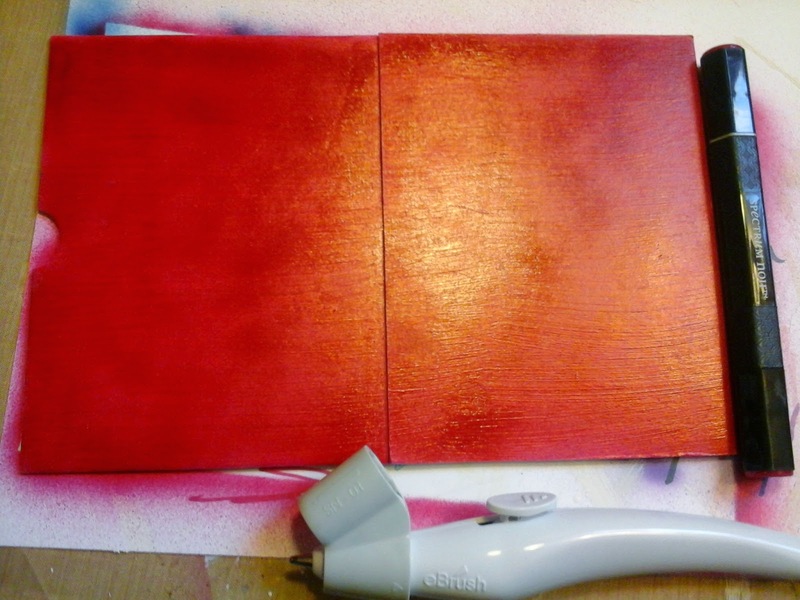 I chose G45 paper to embellish behind the fingers and inside cover. I created a broom out of a small wooden spoon. 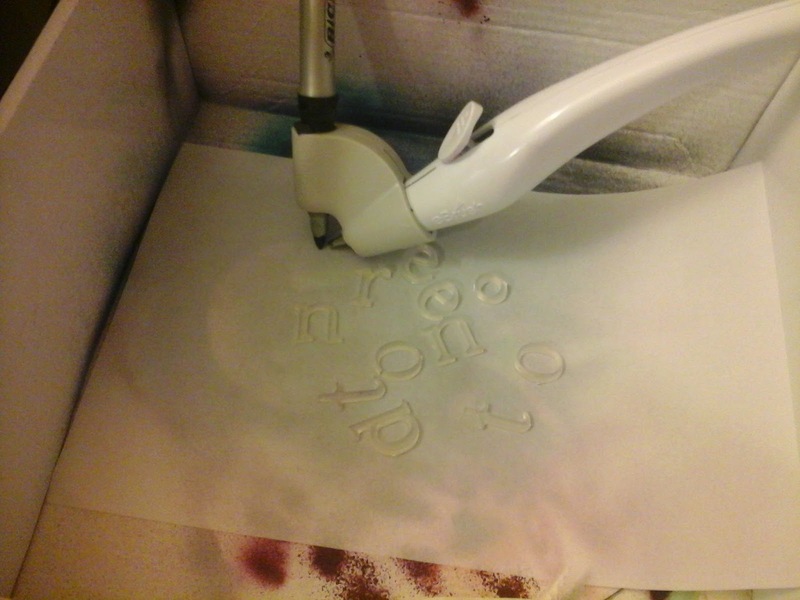 I used my Ebrush and sprayed the spoon black, so quick and easy! I used fibers as the bristles. Now all of my embellishments are ready to glue down. I used the wire from my flowers and Ebrushed them black and coiled them behind the black leaves. 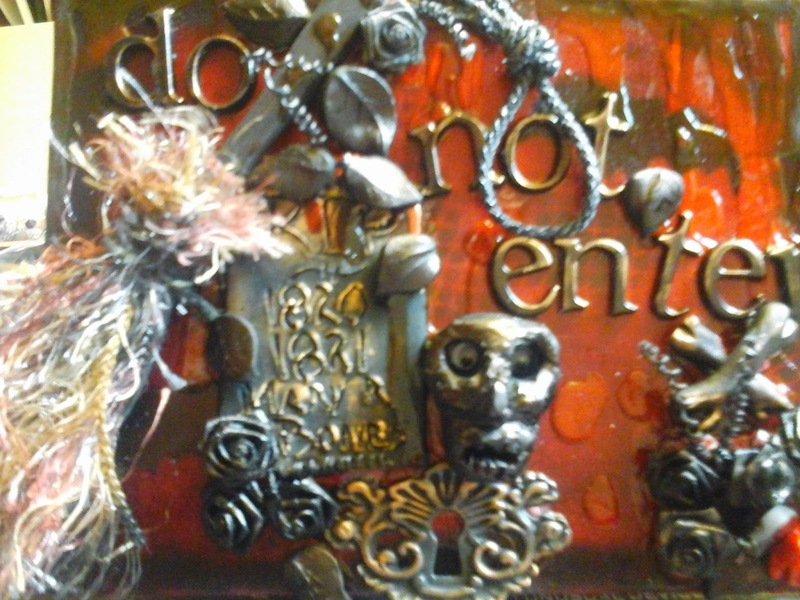 Lastly I used some Crystal lacquer mixed with red alcohol ink as blood dripping for a finishing touch. I hope you have enjoyed my tutorial and inspired you to try this "Must Have" Crafting tool Craftwell Ebrush. Great project and wonderful tutorial, thank you! 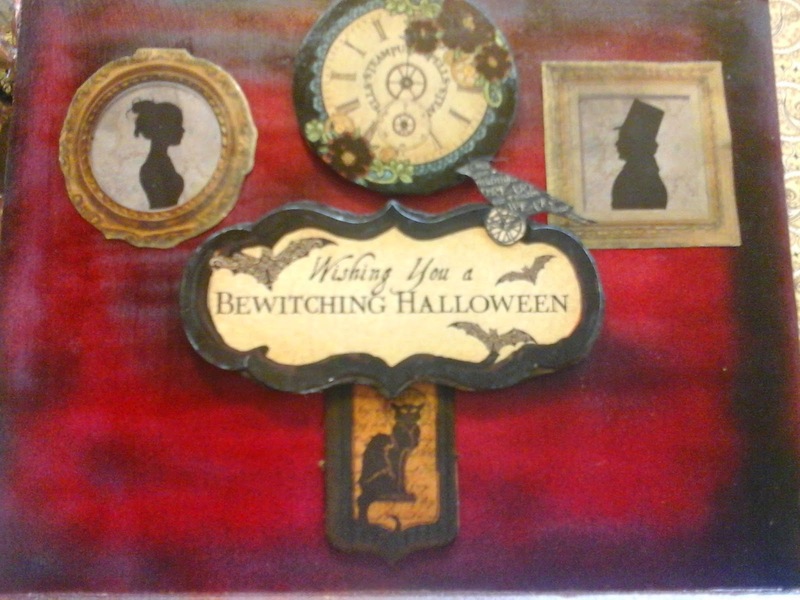 Fabulous Halloween Card Peggy!!! I so want an eBrush. 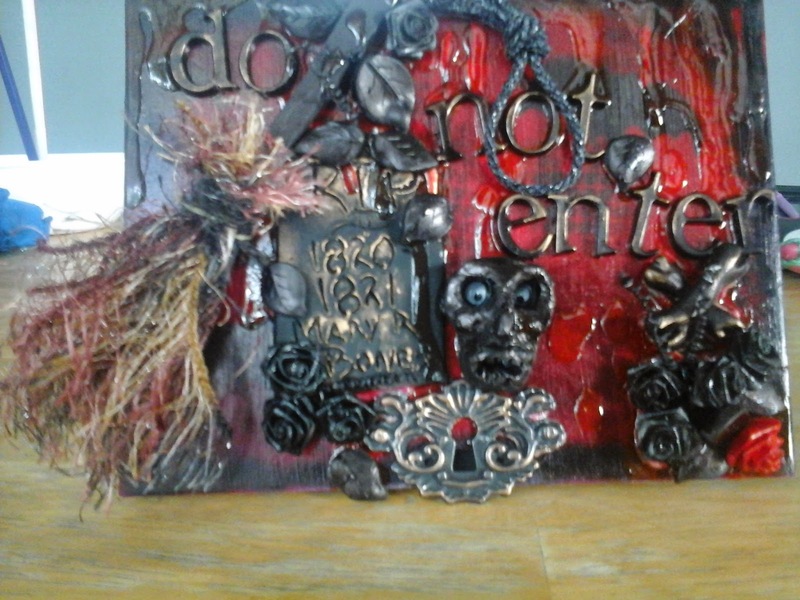 Fabulous Mixed Media project, Peggy! So many wonderful details! Super LOVE this project!! Love all the details! Super Fab! Love, love , love it!! 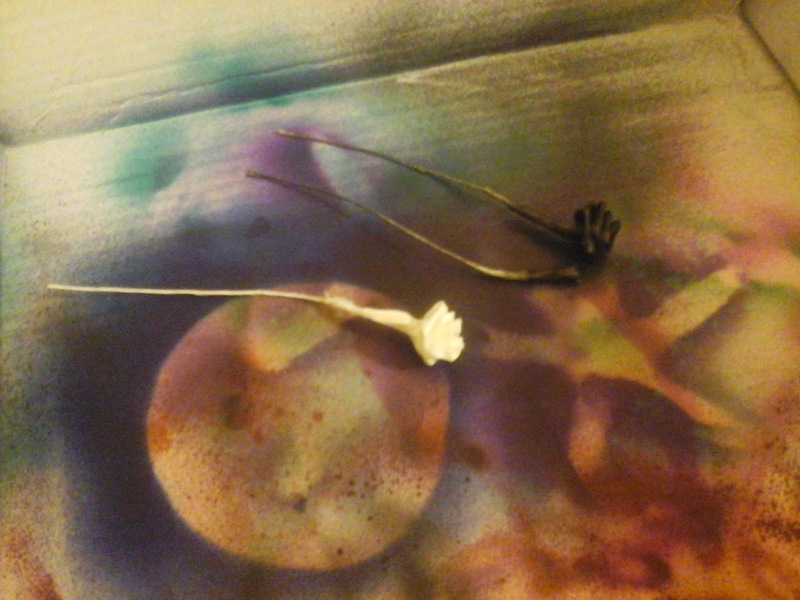 What gorgeous mixed media project, I love it!